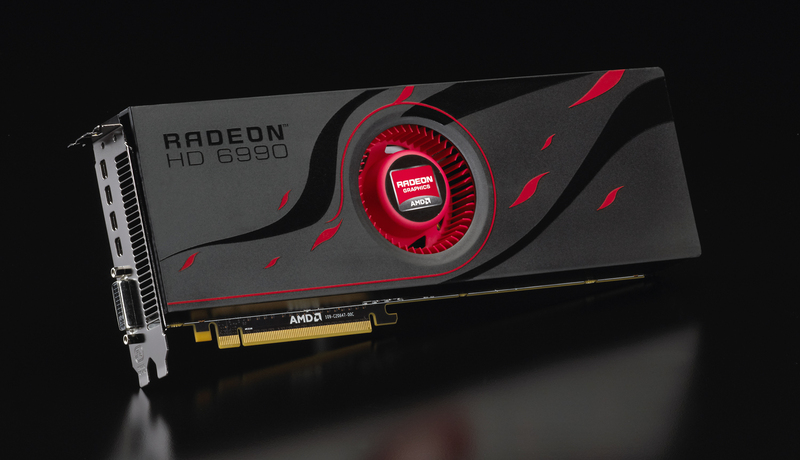 The newest AMD flagship video card is official, codenamed Antilles the new video beast is claimed to be the fastest graphics card in the world. 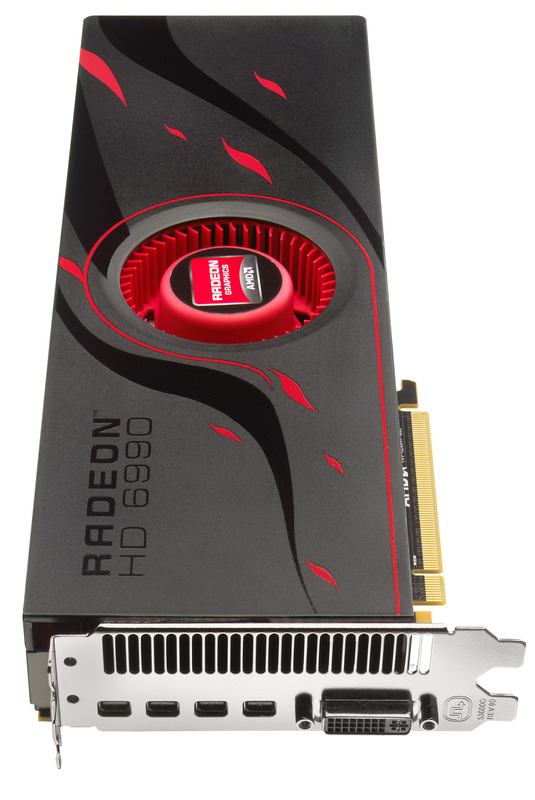 The Radeon HD 6990 packs two Cayman GPUs clocked at 830MHz, 3072 Stream Processors and 4GB of GDDR5 memory at 1250MHz (5GHz data rate). 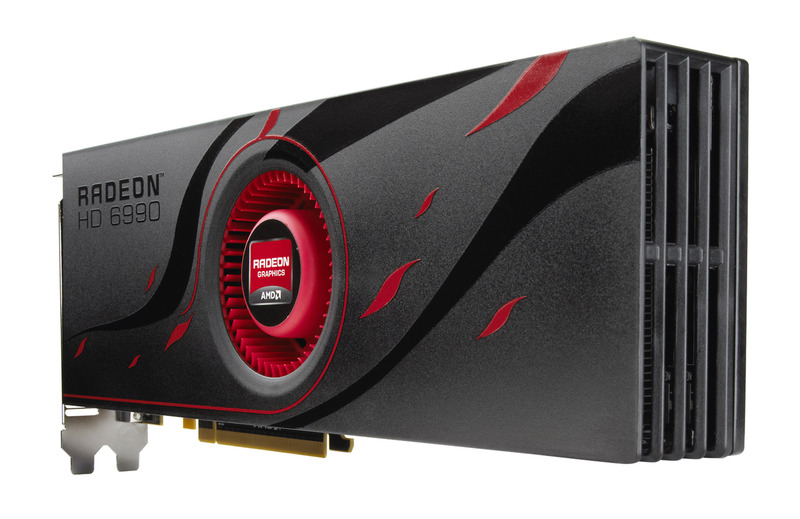 The video card support up to 5 simultaneous displays and features a dual-BIOS toggle switch, allowing you to roast it up to 880MHz. 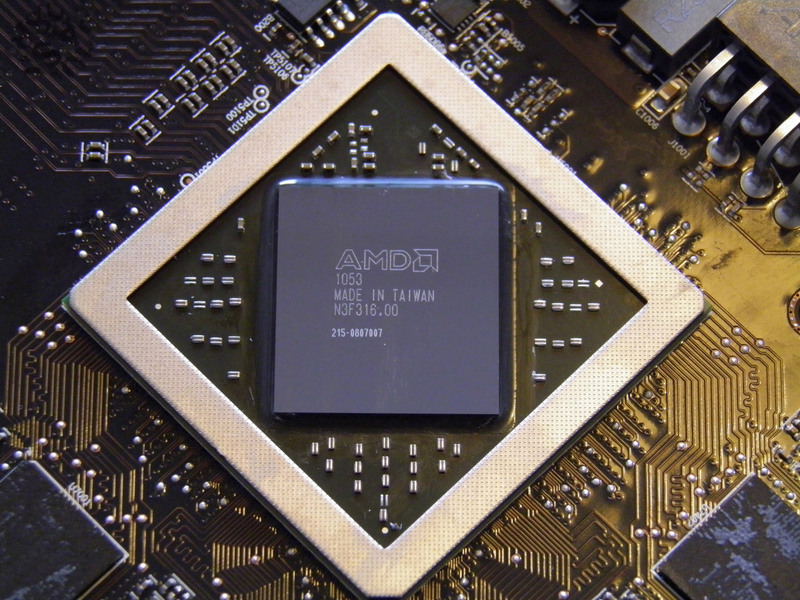 It has a TDP of 375W and requires a 750W Watt or greater power supply with two 150W 8-pin PCI Express power connectors recommended (1000W and four 8-pin connectors recommended for AMD CrossFireX). 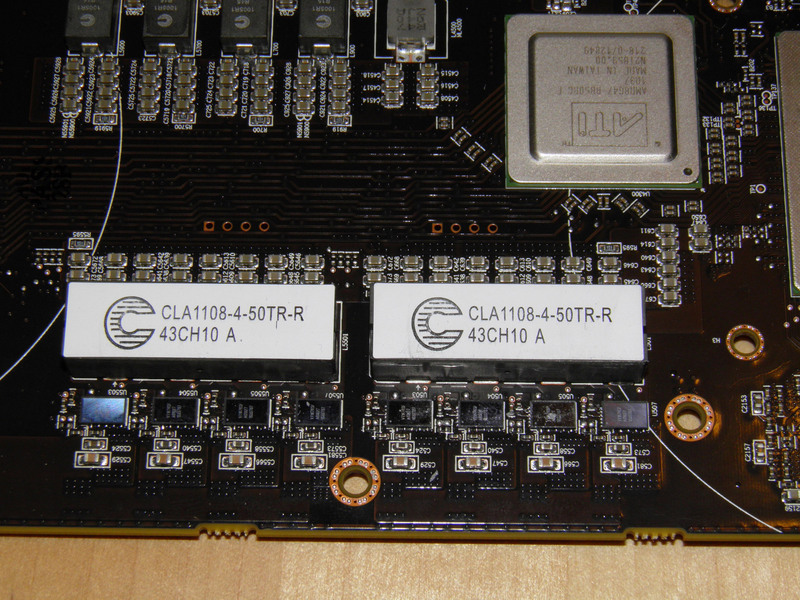 The card has integrated HD audio controller offering 7.1 channel surround sound over HDMI and supporting AC-3, AAC, Dolby TrueHD and DTS Master Audio formats. 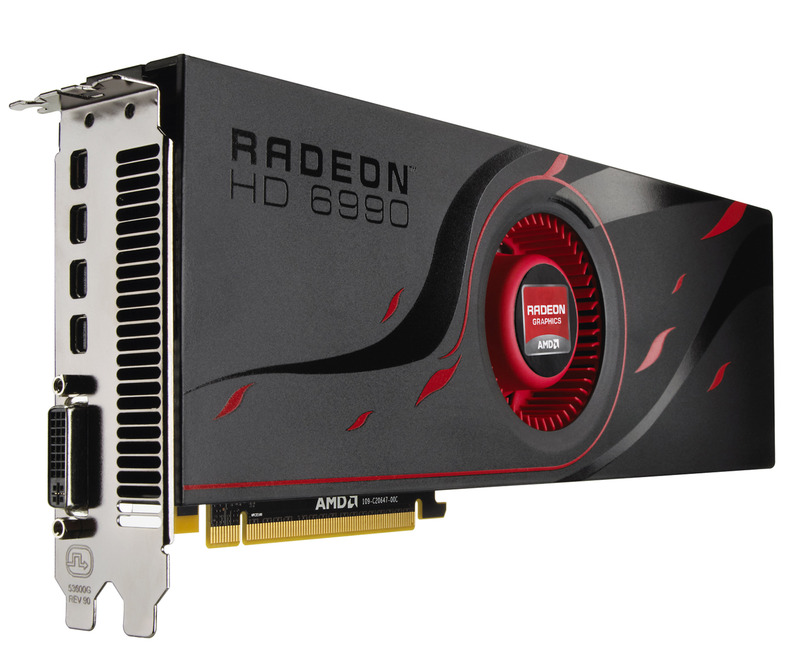 AMD Radeon HD 6990 is equipped with one DVI and four mini DisplayPort outputs and is available now from retailers worldwide, with $699 MSRP.